Thanks so much for all of the lovely messages. I'm a bit more relaxed but to be honest that changes from day to day with all the niggles and nausea and the rank taste in my mouth, everything just worries me at the moment. We do feel better for seeing our little bean though so I'm trying my best to go with it. 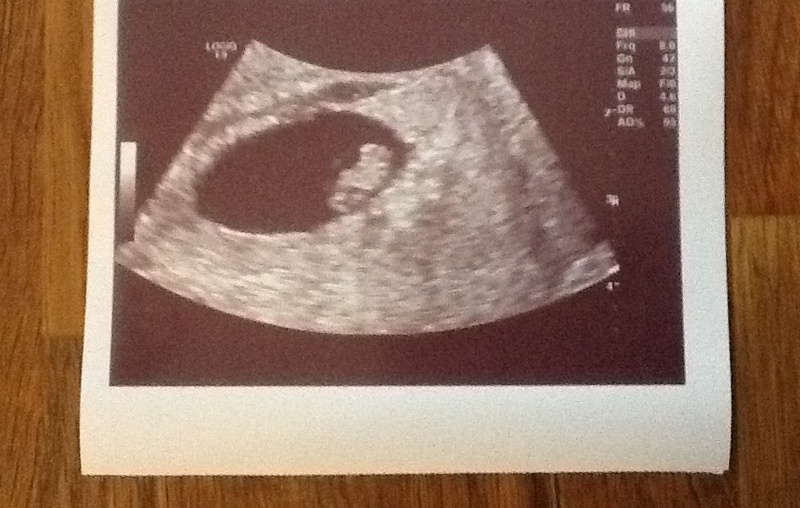 I was 7+1 then, will be 8 weeks tomorrow. Yes the sonographer showed us its little heartbeat for ages, that was amazing but we didn't hear it. Just waiting for my 12 week scan appointment to come now so I've got that to focus on. Yes really amazing. Baby was only 1.2cm yet you can still see the heartbeat soooooo incredible! Hard to believe they are so tiny when our tummies are so big, well mine is anyway! Our bean was only 9 mm when we went but we went before you on the Wednesday so maybe the same size?